Finally got to some beadwork. 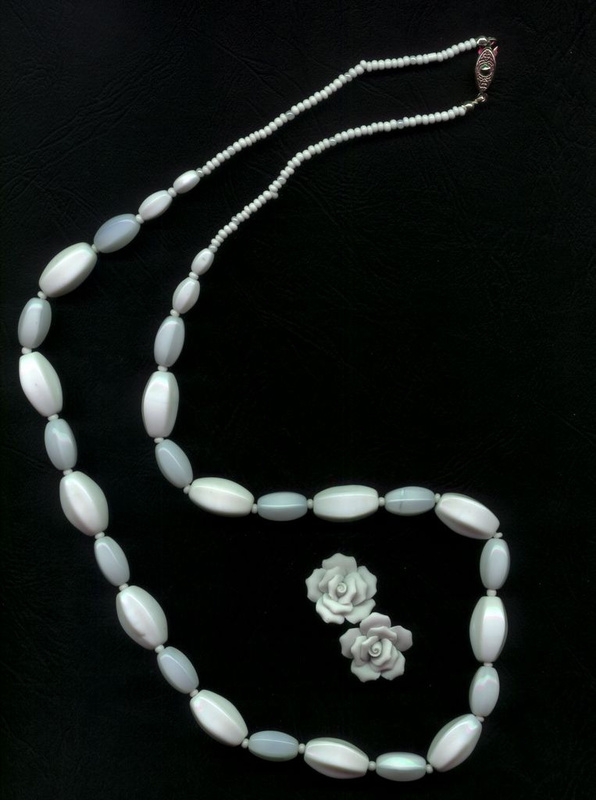 This one's very simple, white beads strung in a long strand. The rose earrings were not made by me, but the necklace was made to go with them.